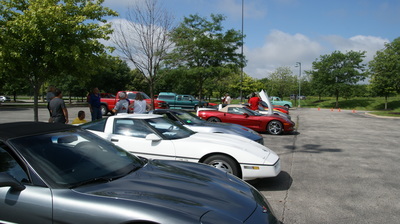 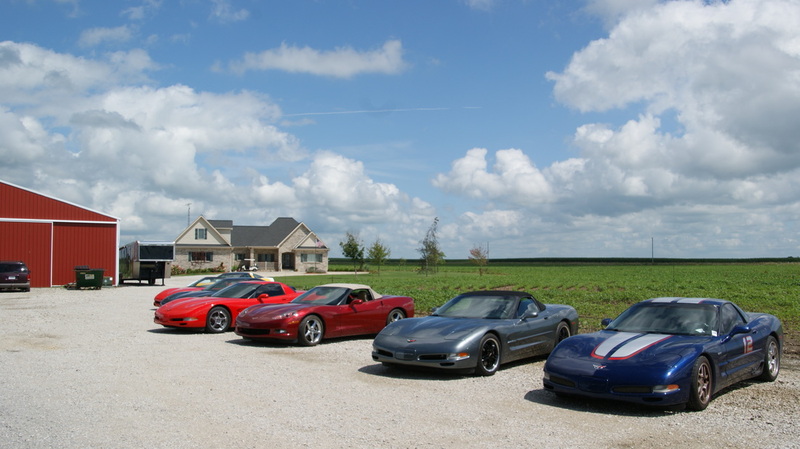 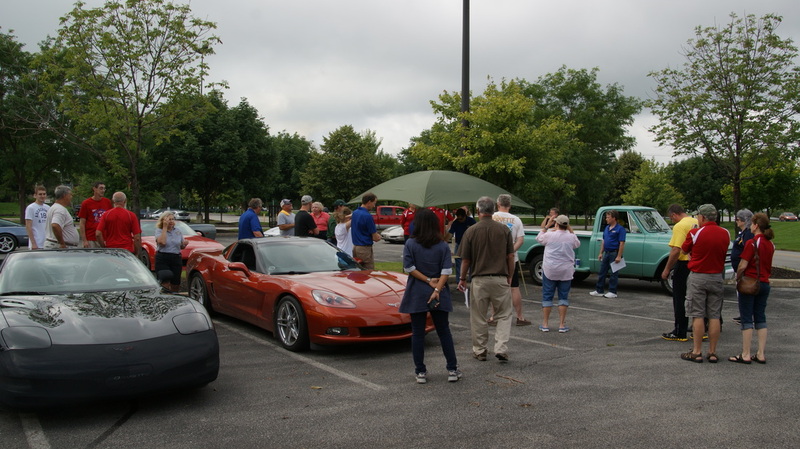 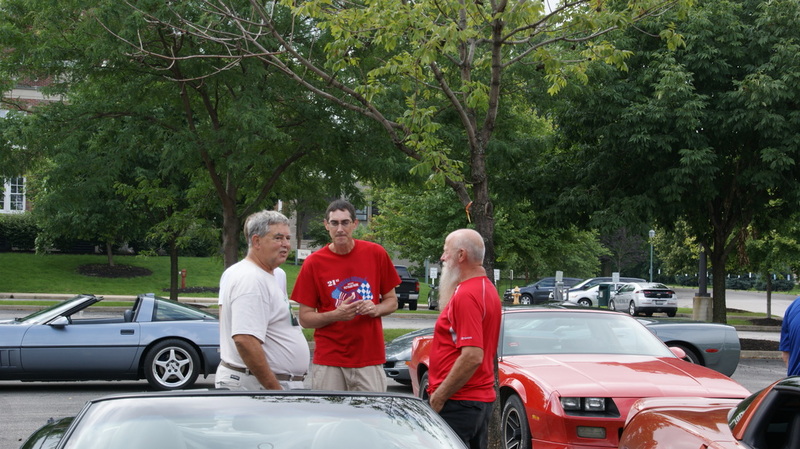 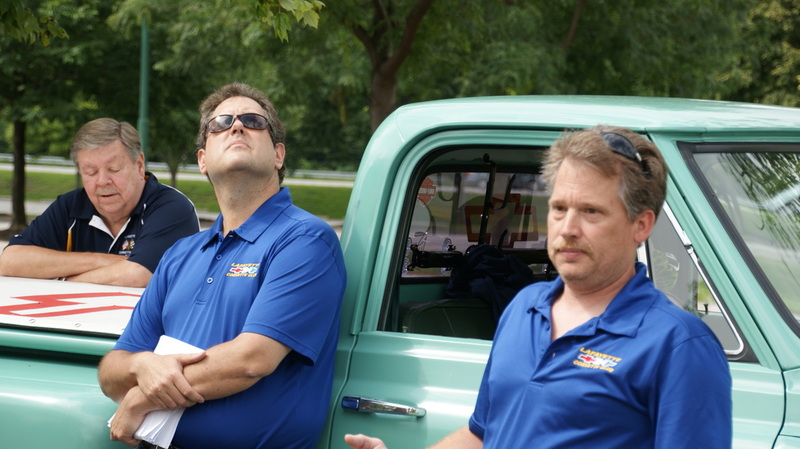 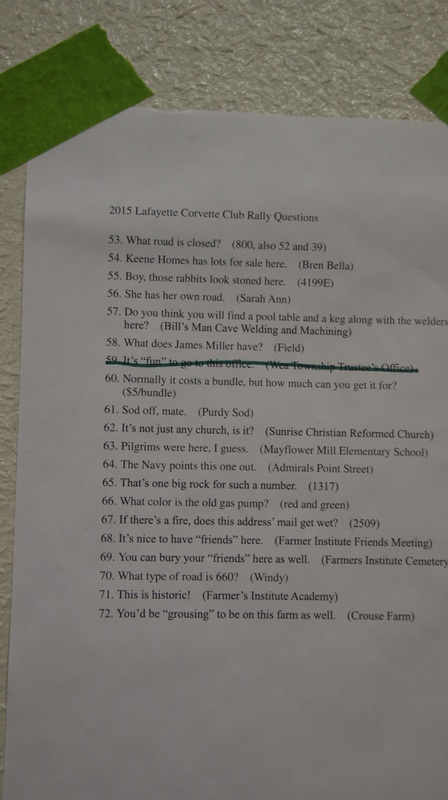 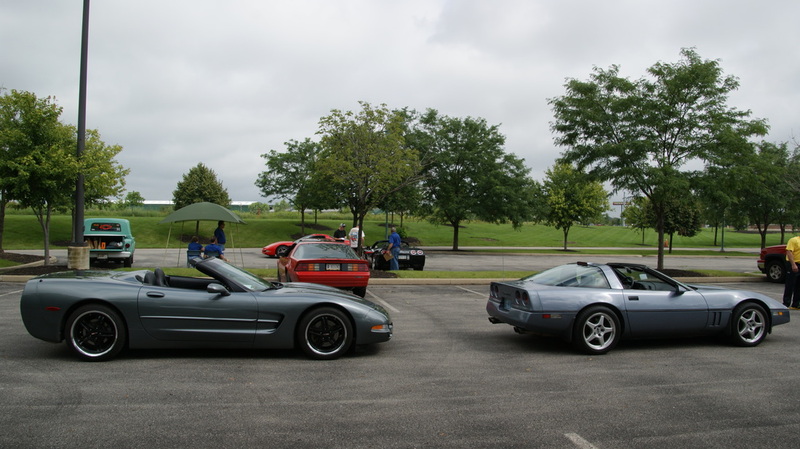 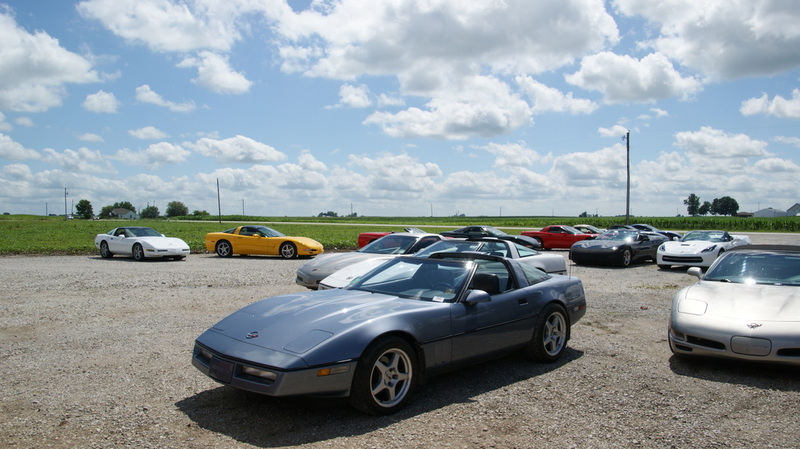 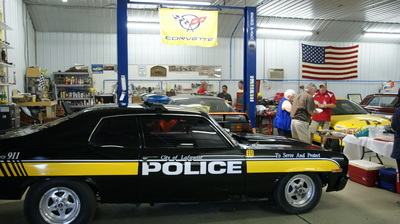 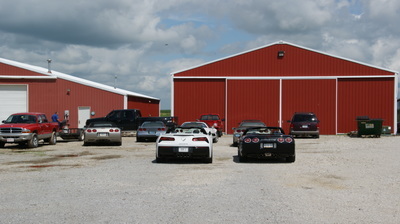 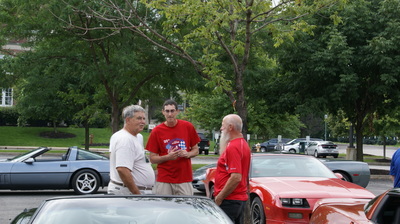 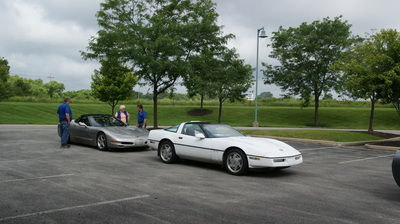 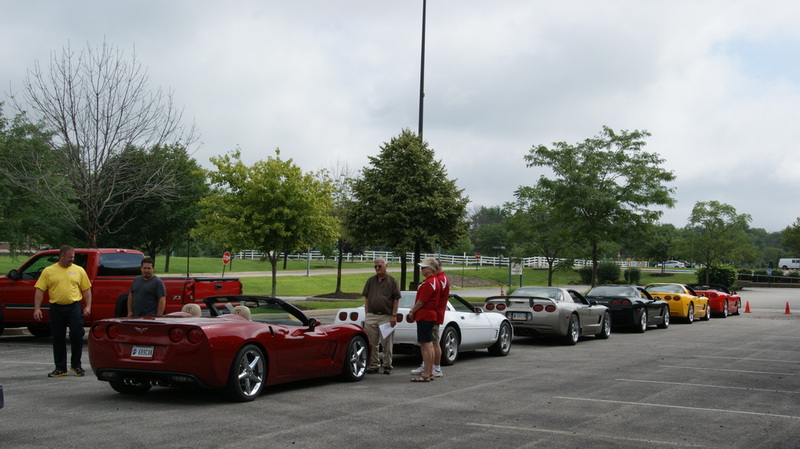 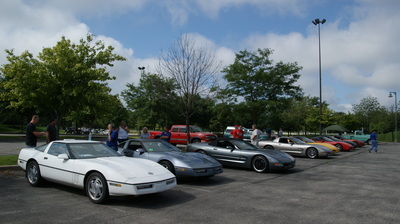 The Lafayette Corvette Club returned to running rallies on July 12, 2015 after a couple years hiatus. 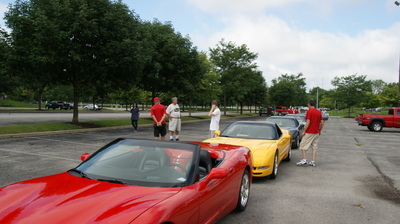 Their starting point at Ivy Tech in Lafayette.brought out 13 Corvettes with their drivers and navigators ready to run the day's events. 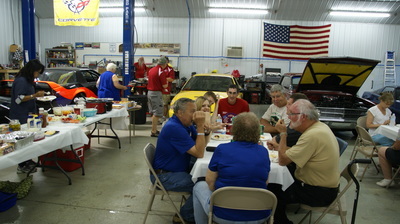 The seven events consisted of 2 Fun and 5 Poker rallies for a full day of rallying. 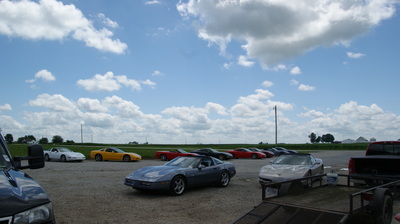 Unfortunately the weather forecast all week had been for rain during the day, which kept the car count down. Instead it surprised everyone by being sunny and very warm! 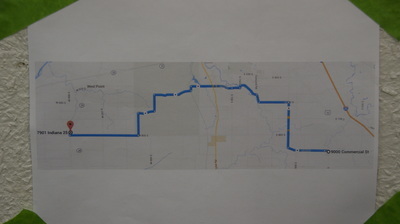 The route stretched beyond the required 70 miles by 14 for a total of 84 in a scenic drive from Lafayette. 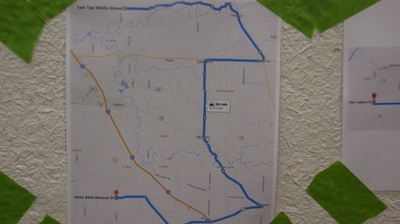 Be assured that all of the participants traveled more than that number of miles. The driving instructions were 2 pages with 67 steps including 2 check points along the way. 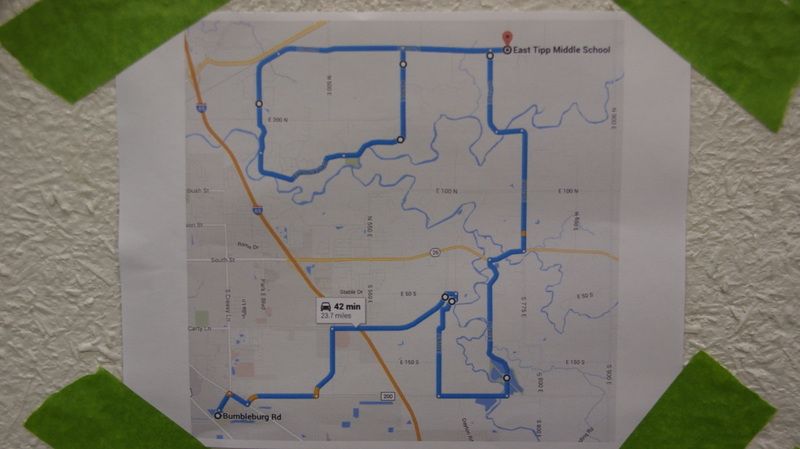 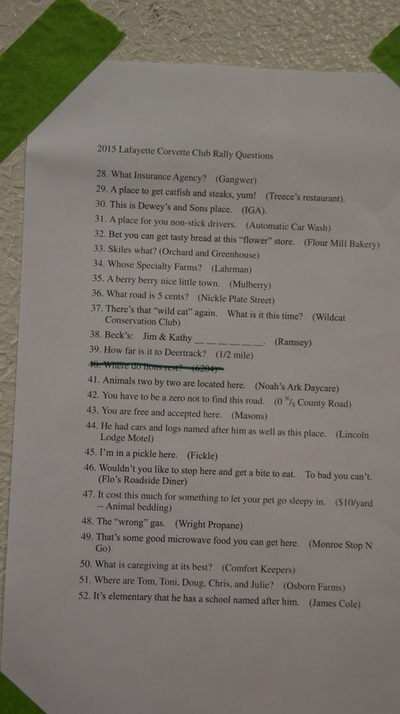 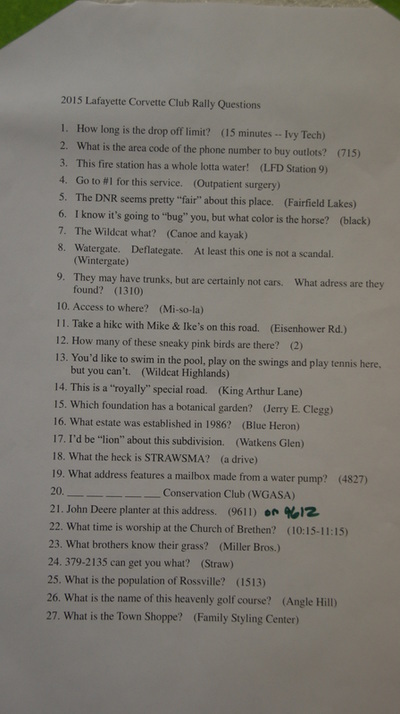 There were 70 questions to be answered along the route in order but no correlation to the driving instructions for a more challenging run of the events. 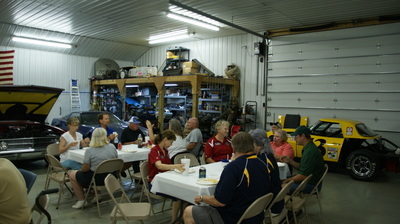 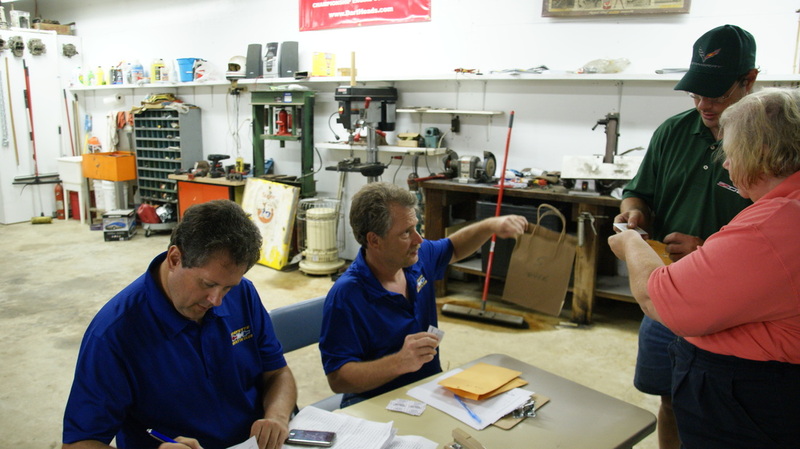 Once at our finishing point of a race shop in West Point the teams were treated to a huge barbeque and carry in provided by the Lafayette club members. Everyone enjoyed the meal and time to discuss their day's run as the results were tabulated, with the odd questions being fun rally 1 and the even ones fun rally 2..The winners of the fun rallies got 35 our of 35 for one and 34 out of 35 for the second one, so the competition was tough. 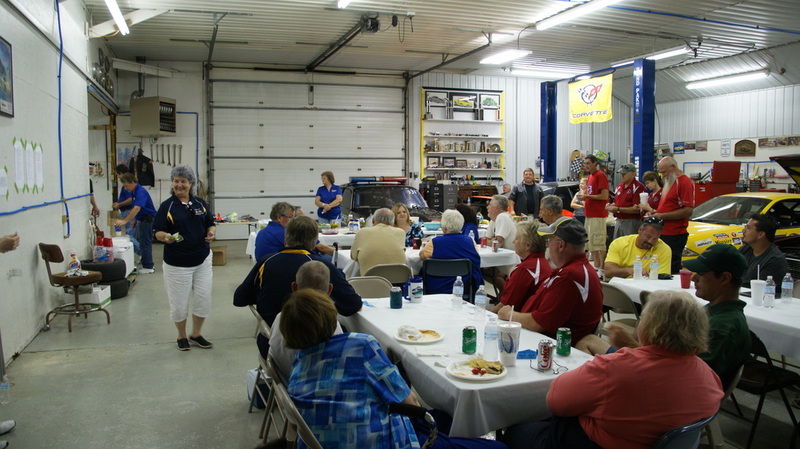 The club had a number of door prizes and to reward the winning participants gave 5 additional tickets for each first place, 3 for second, and 1 for third to enhance the podium winners chance of taking prizes home beyond the 2 they had received for running the rallies. 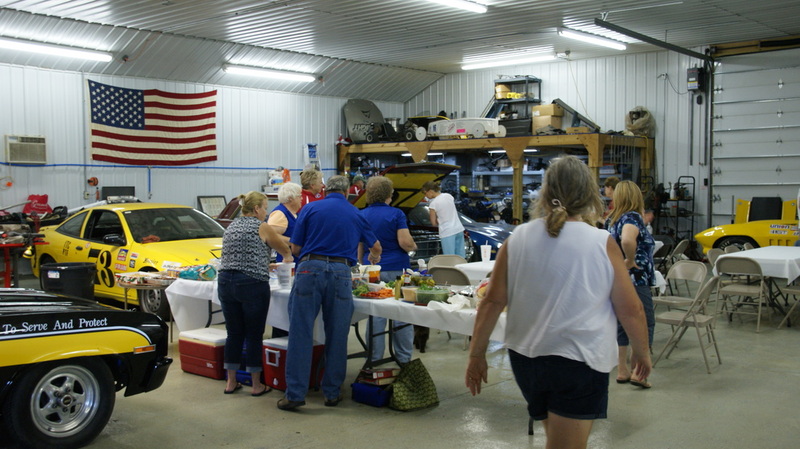 The afternoon ended with most everyone having won a door prize and then heading home in sunny skies from the great day of fun! Look for the full results on the NCCC site when they are posted.